This is a project which will allow us to compare recording quality of different mp3 players and portable recording devices. 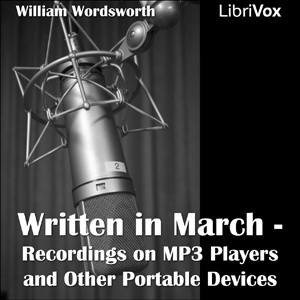 Each reader has recorded the poem "Written in March" by William Wordsworth. For more information on actions taken on recordings please see The Project thread.